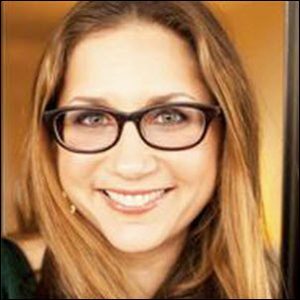 The Festival Neue Literatur in New York City, scheduled for late March, names Susan Bernofsky its Friedrich Ulfers Prize winner; and Georgina Moore joins Midas in London. The program’sorganizers today (February 6) have announced that this year’s winner of the Friedrich Ulfers Prize is translator Susan Bernofsky. She’s to be presented with the honor during the opening event of the festival, March 28. As Publishing Perspectives readers will remember, the Ulfers Prize is awarded annually by Deutsches Haus at NYU. It carries a US$5,000 grant and honors a publisher, writer, critic, translator, or scholar who has championed the advancement of German-language literature in the United States. Previous recipients of the Friedrich Ulfers Prize include Barbara Perlmutter, Barbara Epler, Burton Pike, Robert Weil, Sara Bershtel, and Carol Brown Janeway. 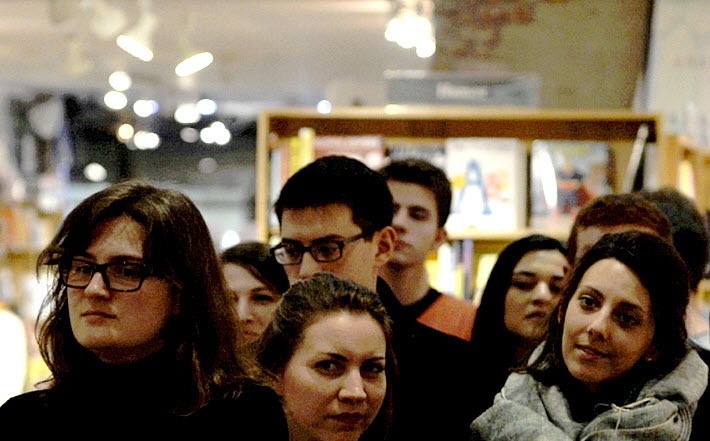 Bernofsky directs the literary translation element of the MFA writing program at Columbia University’s School of the Arts, and she’s the winner of the 2015 Independent Foreign Fiction Prize, The Schlegel-Tieck Translation Prize, the Ungar Award for Literary Translation, the Oxford-Weidenfeld Translation Prize, and the inaugural Warwick Prize for Women in Translation. Many know Bernofsky from her blog posts at Translationista. Her translations include works by Robert Walser (she’s writing a biography of him), Franz Kafka, Hermann Hesse, Jenny Erpenbeck, and Yoko Tawada. 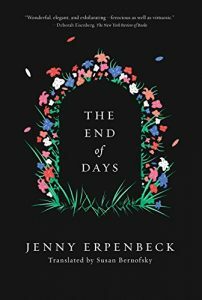 Her translation of Erpenbeck’s novel The End of Days (New Directions, 2016) won the 2015 Independent Foreign Fiction Prize, The Schlegel-Tieck Translation Prize, the Ungar Award for Literary Translation, and the Oxford-Weidenfeld Translation Prize. 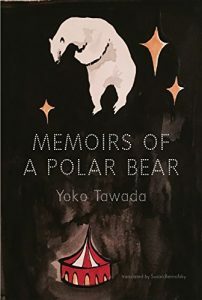 Her translation of Tawada’s novel Memoirs of a Polar Bear (New Directions, 2016) won the inaugural Warwick Prize for Women in Translation. In a prepared statement, Bernofsky is quoted, saying, “The rich body of literature written in the German-speaking countries has been dear to my heart right from the beginning, ever since Franz Kafka and the brothers Grimm first rocked my adolescent world. The eponymous Friedrich Ulfers is an associate professor of German at New York University. In the past, he has also served as assistant dean of the College of Arts and Science, the German Department’s director of undergraduate studies, director of the NYU in Berlin summer program and director of Deutsches Haus at NYU. The lineup for this March’s festival is to be announced within a week. In London, Midas PR—one of the UK’s lead press agencies for books, the publishing industry, and its major events and players—has announced that Georgina Moore, currently communications directory with Headline, will become Midas’ director of books on May 1. 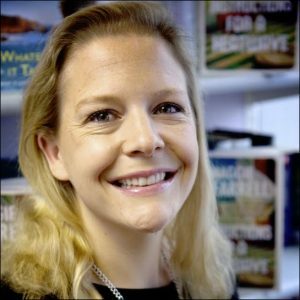 After working as a bookseller at Dillons Chiswick, Moore joined the publicity department at Hodder & Stoughton in 1997 and spent five years rising to become publicity manager. She became publicity director of Headline in 2002, running the press office. We was made communications director in 2014. In her new role, Moore will join the Midas PR management board with directors Nicola Green and Tory Lyne-Pirkis and joint CEOs Steven Williams and Jason Bartholomew. During her time at Headline, Moore worked on the following PPC award winning campaigns: Kate Adie’s The Kindness of Strangers, Living History by Hillary Clinton, By Myself And Then Some by Lauren Bacall and Gazza: My Story by Paul Gascoigne. She also masterminded the campaign for Andrea Levy’s Small Island (which won The Orange Prize and the Whitbread) and brought Costa winner Maggie O’Farrell’s PR back in house with The Hand That First Held Mine. At Headline Moore’s campaign for Helen Walsh’s The Lemon Grove won the Waterstone’s fiction paperback award in 2015 and was then highly commended as the overall best fiction award that year at the British Book Awards, the Nibbies. She has been shortlisted for PPC campaigns for among others The Wrong Knickers by Bryony Gordon, and A Year of Wonder by Clemency Burton-Hill. Moore lectures in book publicity at Kingston and UCL and has been a keynote speaker at the FutureBook conference. More from Publishing Perspectives on Festival Neue Literatur is here. And more in our Industry Notes series is here.